Checking Up on Retail-Based Health Clinics: Is the Boom Ending? Outlines trends in the growth of retail-based clinics providing basic care at pharmacies and other retail settings. Examines who uses them, where, for what services, and why; insurance coverage and reimbursement rates; and variations in state regulation. 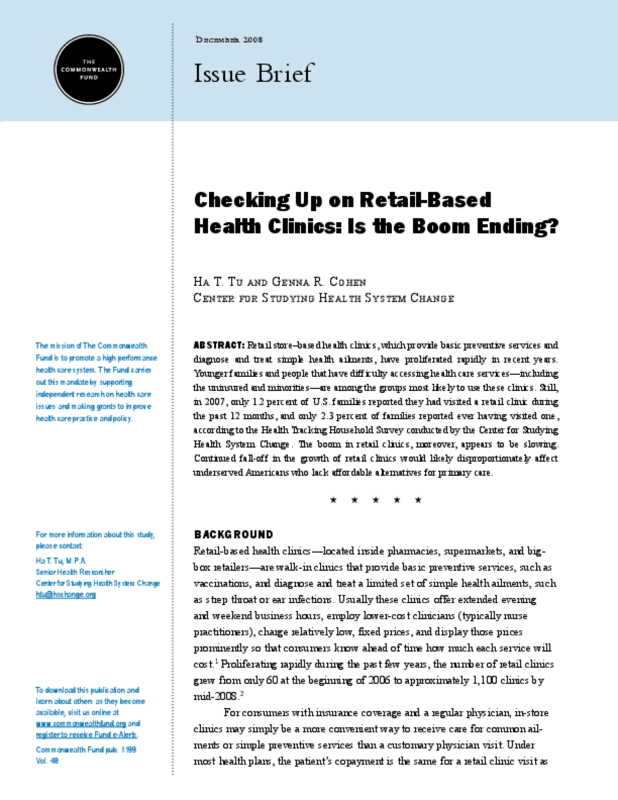 Title: Checking Up on Retail-Based Health Clinics: Is the Boom Ending?